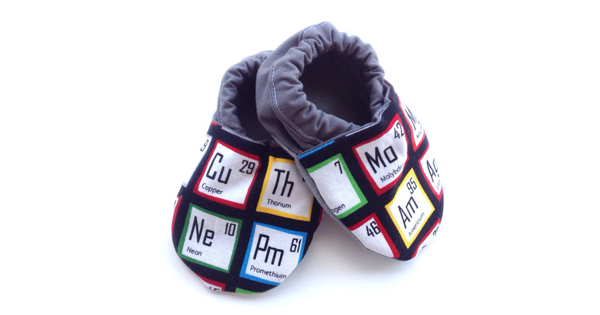 Get your baby science geek on with these rather awesome periodic table baby shoes. Made from cotton with faux suede soles for grip. $16 from Teddy and I.